Founded in 1975 in Southern California, Oakley was created for world-class athletes. Tommy Hilfiger, a leading designer lifestyle brand brings its classic American, preppy cool style to eyewear. Silhouette founded in 1964 in Austria, uses innovative technology to create eyewear of the highest quality. Dolbany stays at the forefront of eyewear fashion, offering a style, shape and color for any taste. Charmant eyewear stands for the highest standards in quality, design and production. 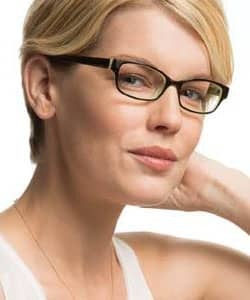 Carrera eyewear combines style and comfort in creating cutting edge frames that represent authenticity. Designed for the active person requiring fashionable, durable eyewear indoors and out. Safilo proudly embodies the culture of Italian eyewear and is a statement about aesthetics. 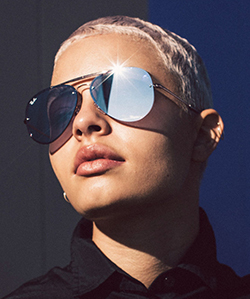 The Väri Collection is eyewear that is both trendy and timeless, pairing contrasting designs. The Fossil Eyewear collection offers a stylish look for quality seeking men and women. Since 1937, Polaroid has been creating sunglasses which allow you to see with more comfort and less glare. Confident, versatile and ever-evolving, Perry Ellis eyewear is designed to keep up with the modern world of fashion. Isaac Mizrahi eyewear embodies a refined sense of confidence adding the final touch to elevate your personal style. EasyTwist® frames offer superior durability and resistance to corrosion, shock and extreme temperatures and conditions. You don’t need an appointment to come in see our great selection of designer frames! But if you want to check your prescription, you’ll need to make an appointment for an eye exam.